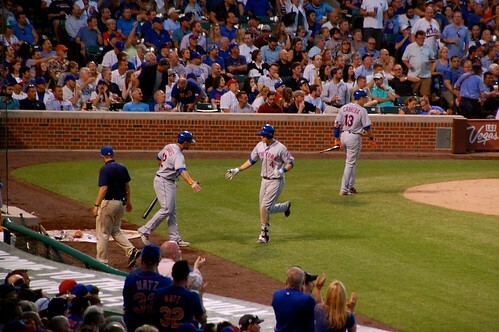 When the Mets last played at Wrigley Field, they swept the Cubs to win the NLCS and advanced to the World Series. 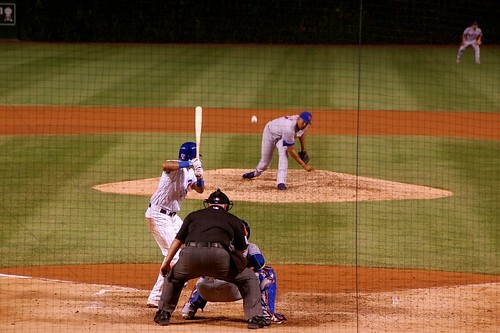 Game four of that series is quite possibly one of the best sporting events I ever witnessed live and in person. 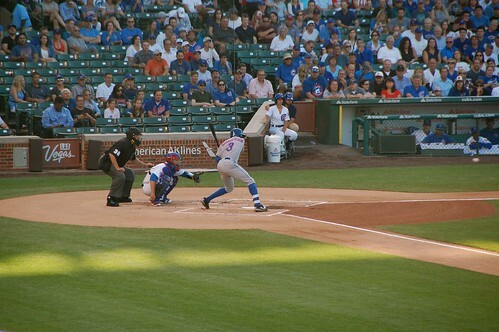 More recently, the Cubs and Mets played a few weeks ago at Citi Field for their first meeting since the NLCS and our lovable Mets swept the Cubs once again! 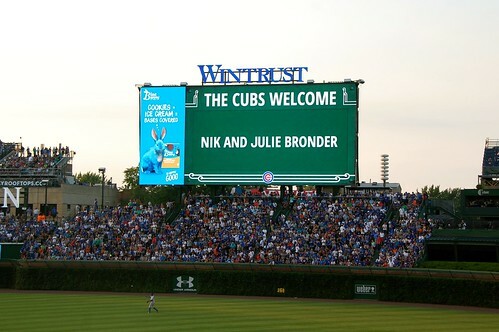 Now it was time for the Mets to return to Wrigley to try and keep the magic alive. 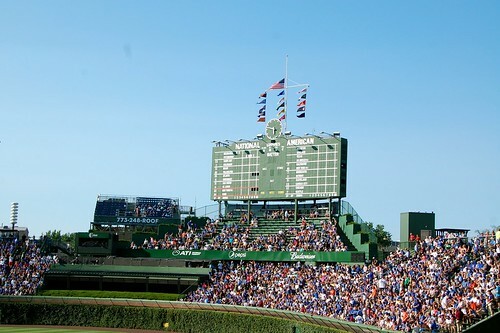 Much like the last few regular season visits to Wrigley, they could only muster one win, the middle game of the three game series. 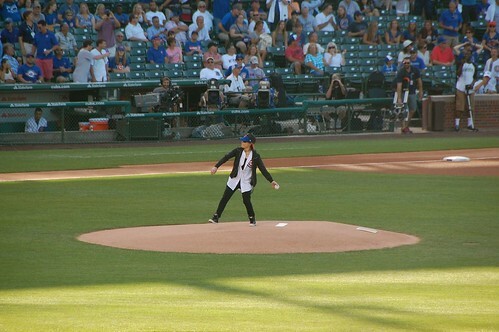 As you can see above, Joan Jett threw out the ceremonial first pitch, which was pretty cool. 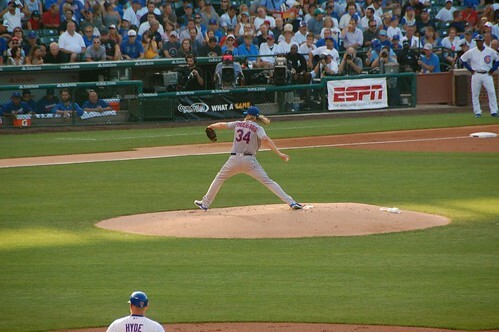 The game had a nice matchup of Jon Lester vs. Steven Matz. Though Matz got lit up, the offense around him didn’t do much to help. I’m going to hope the All-Star break helped him get some rest and that he comes back stronger the rest of the way…with a little help from the offense, of course. 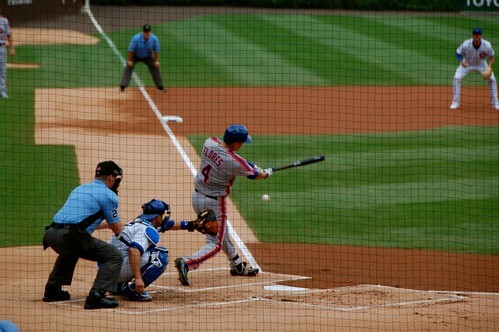 Pretty much the lone highlight for the Mets was a Wilmer Flores home run. Final score: Cubs 5, Mets 1. The pitching matchup for this game was one that everyone in the sports world was looking forward to: Jake Arrieta vs. Noah Syndergaard. Once again, the Mets offense wasn’t very strong and Noah had to throw a lot of pitches and couldn’t get through 6 innings. 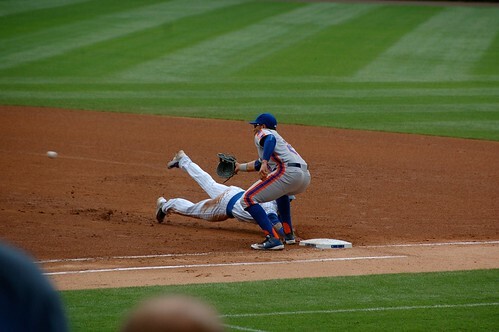 The Mets might not have made it easy, but they got out of a bases loaded jam in the 9th to come out with the 2-1 win. 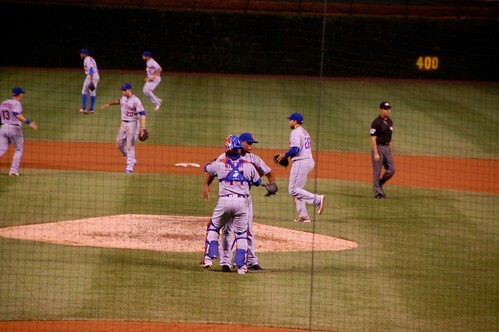 Nik and I started out in section 237 and then I moved and joined friends in 122 for the 9th inning which was great because Familia was on the mound and to see him celebrate the save was just electric. 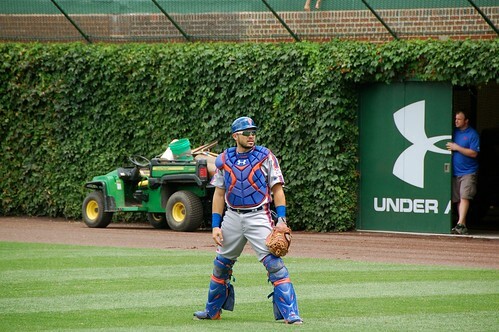 Final score: Mets 2, Cubs 1. 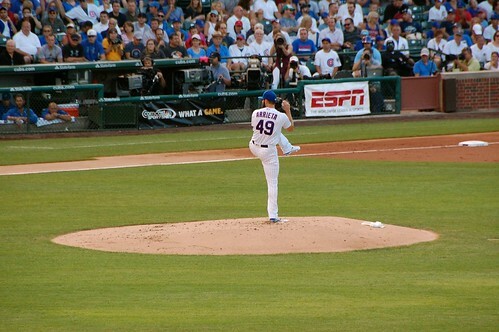 This game had Kyle Hendricks vs. Bartolo Colon. Nik and I got to the game in time to see the Mets do their pregame warmups. 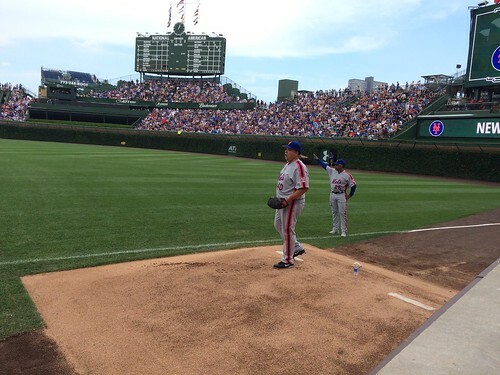 It was nice to be right along the wall, where i was mere feet from Bartolo warming up and the non-starters hanging out watching things. Also nice was scoring a deGrom autograph. When tickets went on sale back in March, I splurged for these seats and they did not disappoint. Seeing how balls came off the bat from this view, and how they flew down the third base line was pretty cool. The ball just flies off. 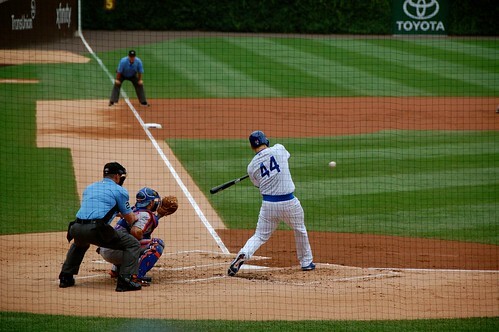 The seats were great for the Bartolo at-bats alone! Familiar story with very little offense once again. 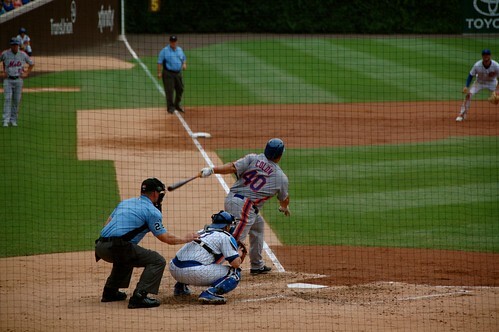 That said, Kelly Johnson got the start at second base and went 4-4 from the plate. I was certainly surprised by that. With a final score of 6-2, it clearly did’t matter much. 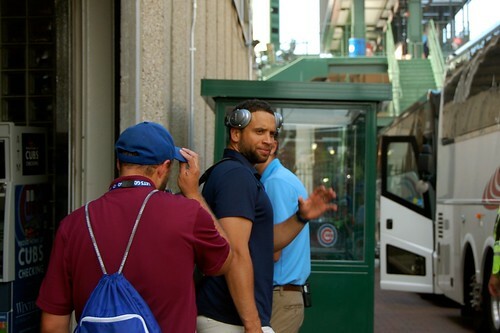 As I like to do on get-away day, I waited near the Mets bus for the players and others to come out. Sometimes players will stop to sign autographs, today none did. But for the most part, I like to see how the guys are dressed. 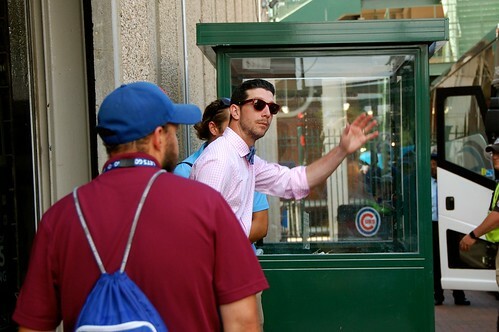 Jerry Blevins was styling with a bowtie and we got a couple waves from James Loney and Jeurys Familia. 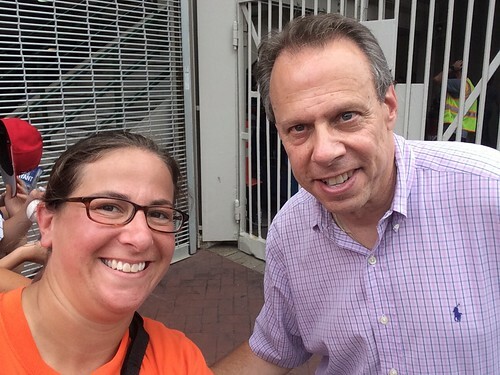 Really of note was a selfie with Howie Rose! 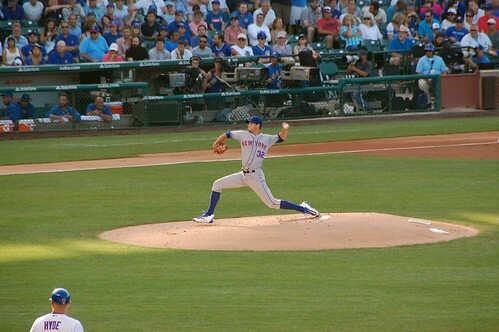 Regardless of the outcomes, though wins are the best, I always love seeing the Mets in person and not on TV. I should note that in addition to sitting through two brutal losses, the weather was so steamy that I don’t know how the players aren’t dying in their uniforms and other gear. 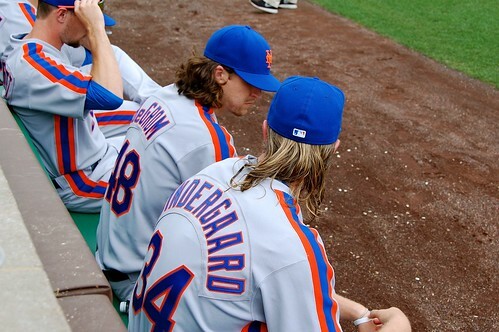 Next up: Rockies vs. Mets at Citi Field, also known to me as Mike Piazza Day, when the Mets will retire his number 31.